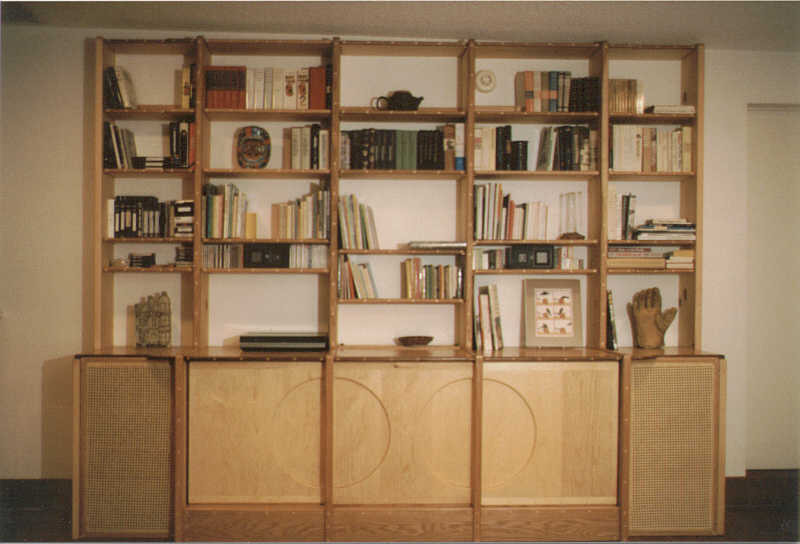 This wall unit bookcase/ media center combination was made to hold a large TV and stereo audio system incorporating the speakers into the cabinet. Sliding doors hide the TV and audio components. The unit was made in sections and assembled in place.